The Garmin Vivosmart HR+ is definitely not perfect, but packs a lot of useful features into a relatively compact package. 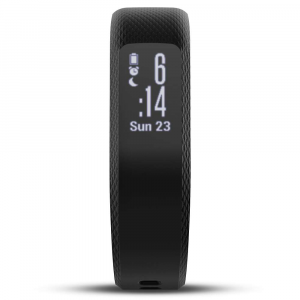 I have been using the Garmin Vivosmart HR+ for about a year now, mainly for day-to-day health tracking and hiking. Here is a summary of what I think is good and bad about it. 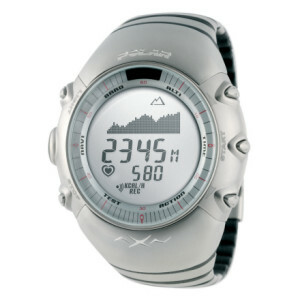 Features: Provides lots of features including step count, heart rate, GPS tracking, sleep monitor, Bluetooth connectivity, notifications from phone and control of music on phone (I don't use this). 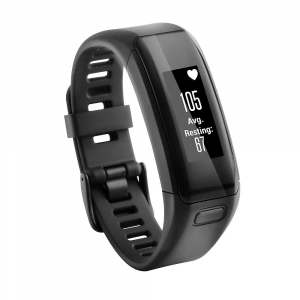 Size: The Vivosmart HR+ is fairly small, not all that obtrusive though not as small as some others. It is much thicker than a watch (photo above) so with some shirts I find it gets stuck under my sleeve. Screen: Screen is always on and backlit. It is clear, large, easily read and customisable to a certain extent. 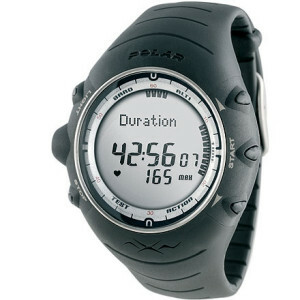 Waterproof: Claimed to be waterproof to 5 atmospheres (about 50 m). 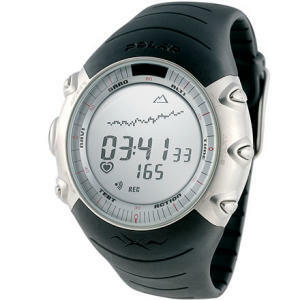 I have used it snorkeling (about 3 metres) and it was fine except that the touch screen does not work when wet. Logging: Logs all sorts of things, some accuratly (steps), some not (sleep and heart rate). I find Active Minutes especially useful. Some of the records are only available via the Garmin phone App which requires a Garminn account (free). Battery life with GPS on: Garmin claim 8 hours but I have tested it a number of times and it is consistently around 5 hours 43 minutes, only 71% of Garmin's claim. As I use it for hiking, this is not really enough. Without GPS tracking on, the battery lasts half a week at least. 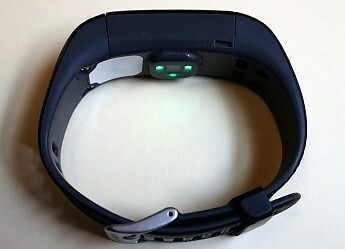 Sleep tracking: If, like me, you wake during the night, it will record movement but cannot tell that you are awake. i.e. it only records one lot of sleep a day. The result is my recorded sleep is longer than I actually sleep. Sleep monitor is pretty useless for me. 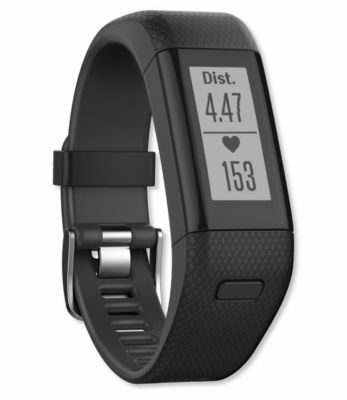 Durability: I have concerns about the durability of the Vivosmart HR+ especially given that it seems intended for physically demanding uses (e.g. the 5 atmosphere water resistance). The screen on mine somehow got cracked (see photo). I have no idea how this happened as I can't recall any hard impacts. Also the pattern on the band is wearing off (see photo) suggesting the band might not last long. All this after just 12 months. 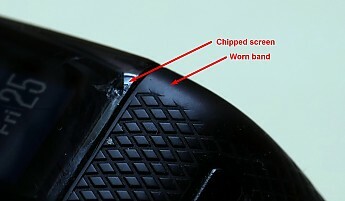 These is a concern as the teardown of the similar Garmin Vivoactive on the iFixit website shows it not repairable. A device costing over $300 should not be throwaway. Charging cable: Ugh, it's awful! 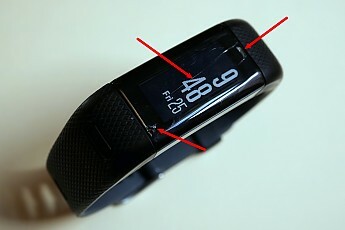 The Vivosmart HR+ uses a proprietary cable that is hard to attach properly. 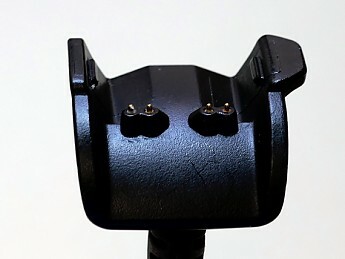 Although it charges quite fast, it is not unusual to find it was not attached properly and the thing has not charged at all. Plus there is the problem proprietary cables if the battery goes flat while I am out, say due to GPS use, I cannot charge it till I get home. A waterproof standard USB socket would make much more sense. Floors climbed: This is inaccurate nonsense, but I suspect the same is true of other fitness trackers and phones that use so called "floors" to measure elevation gained. A floor in a building is 3 to 4 metres but when I have checked values given by the Vivosmart HR+ against a more accurate device (Garmin Montana 680t) a "floor" can be up to 10 metres. Garmin say nothing about how floors are measured so I guess they (and others) use it to hide the fact that the device doesn't measure elevation change accurately. If it does, how about giving us the option of metres or feet? Nice review, Ian! Thanks for taking the time to share it and some pictures. 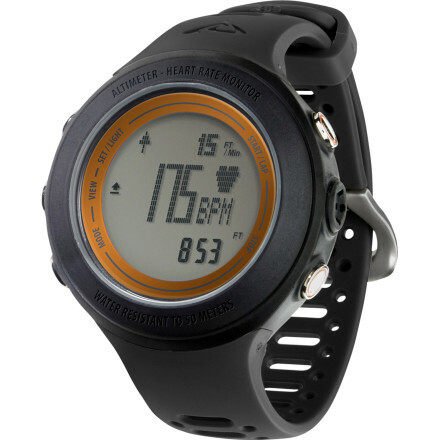 The Garmin vivosmart HR+ is not available from the stores we monitor. It was last seen December 10, 2016	at L.L.Bean.